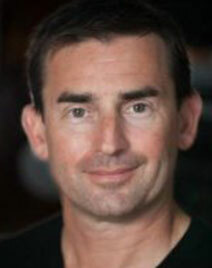 Gerry Kendall, Principal at TOC International, will deliver a keynote titled "Impact." In this presentation, Gerry will share the common UDEs that led him to the 5 most compelling injections with many real-life examples. Mr. SR Mukherjee, CEO, will present how Tata Advanced Materials Ltd. used TOC principles to double its operational productivity, turn around from loss making to profit making, and sustained the profit increase over the last four years! Enjoy this teaser video and then REGISTER FOR THE CONFERENCE! This is one example of our goal to have 2 corporate attendees for every consultant attendee. We are adding more speakers all the time. Check back for updates! Keynote: "Impact" - TOC requires other elements to drive newsworthy results. In this keynote, Gerry shares the common UDEs that led him to the 5 most compelling injections with many real-life examples. 2) Workshop: Selling with "The Machine"
1) How to sell holistic projects with a detailed S&T of the process. 2) Doubling the productivity of Agile teams by establishing a one-piece flow management of the development process. Basic and Advanced Throughput Accounting workshops – where and how TA fits on S&T trees. Get the skills to change your financial results! Complex Project Delivery; Managing project supply chains, from project owner through general contractor to subcontractors and vendors. 2) What is Holding TOC Back? 2) Introduction to Demand Driven concepts. "Better Than Before" - Tata Advanced Materials Ltd. used TOC principles to double its operational productivity, turn around from loss making to profit making, and has sustained the profit increase since last four years. "Frugal IT Development: the TOC approach”, a new and different approach to IT management, especially in the development of new applications in all types of corporations. Viable Vision at Premier Foods “Probably one of the most successful Viable Vision projects ever"